This weekend we had some yucky weather so we were indoors more than usual - which equaled me needing a new craft to try, but not able to get out to purchase any new craft items (seriously though, I should have plenty of craft items by now). So I of course went to the best crafting source out there - pinterest, and found an easy and fun project to try. So lets break out our scrap fabric and make something. 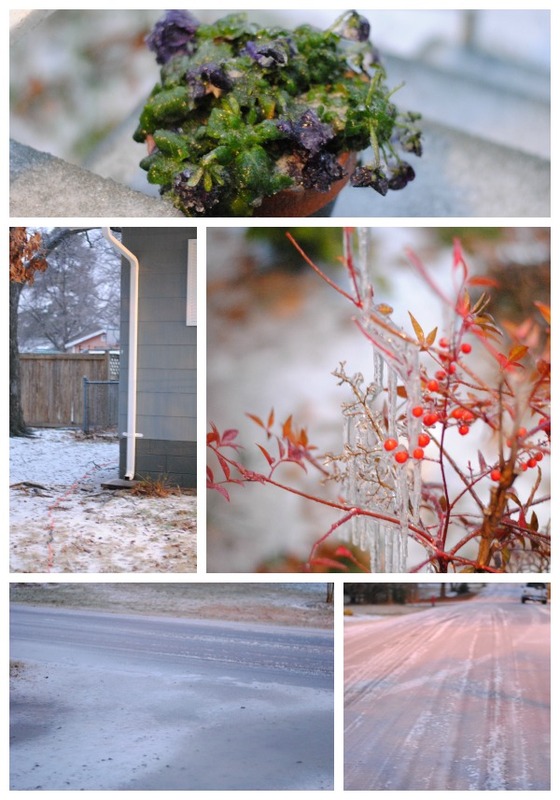 Oh but first, let me share with you our major winter storm of 2013. 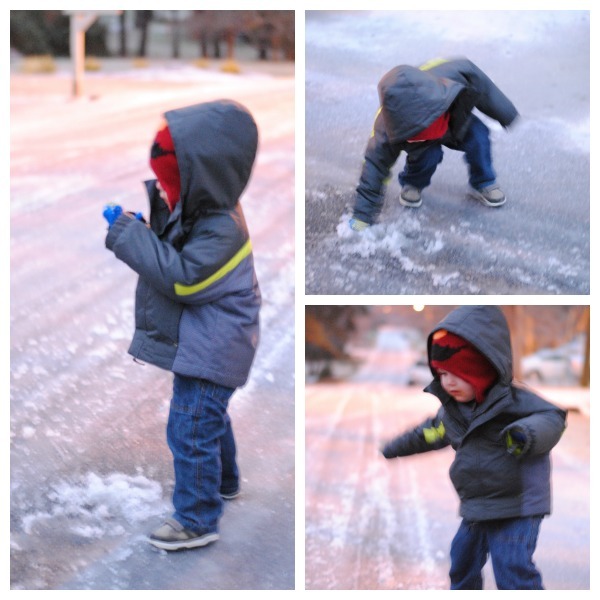 We were hoping for snow but received ice instead - Silas had no idea the difference since he's never seen either. This was a huge deal around these parts. I know some of my blogging buddies are used to much more wintry weather than this but to us- this was like total lockdown. Not everyone loves snow, but I do- so this was a little disappointment but we still made it fun nonetheless. Silas even made "snowballs" aka ice balls haha. He had such a blast running around outside through the icy grass, I wonder what he would do in a real snow event. Alright, so the first thing you need to do is trace out the shapes you will need. *Take your smaller pendant shape stencil and trace on your scrap piece of cardboard - this will be used inside of your pendant. 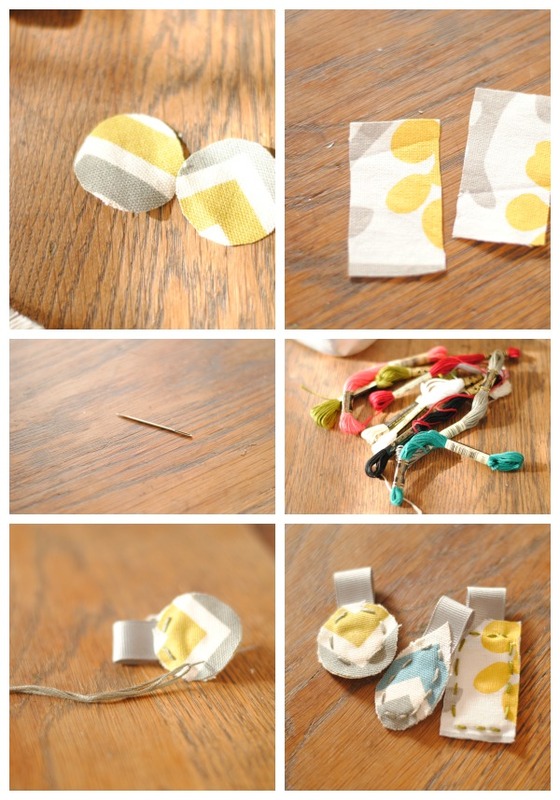 *Next, take your larger pendant shaped stencil and trace two shapes on your fabric. I just flipped over my fabric and used a pencil. *You also need to cut a small piece of ribbon for the loop for your pendant. --side note - I found some small balsa wood shapes I just had laying around so I used them as well (they are the circle and rectangle). But you don't need those to do this project. Now its time for hot glue! 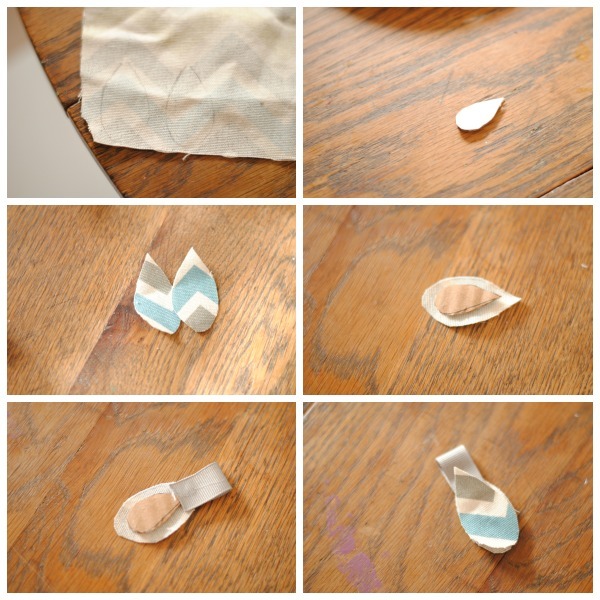 *Glue your ribbon ends together to form a loop. *Next, lay one of your cut fabric pieces down (pattern side facing down) and layer in the ribbon loop on the top and use a tiny bit of glue to keep it down. *Then, use a tiny bit of glue to secure your smaller cardboard piece, followed by a tiny bit of glue to hold together the last fabric piece. Now you are ready for a little needle and thread. Don't worry, this is easy and it doesn't have to be perfect. I just quickly stitched around my cardboard piece that's inside my fabric pendant. This really makes it much sturdier and finishes it off nicely. Now, from here you can totally use a chain you already have to slip it on and off to wear it. I decided to make a few necklace chains with some supplies I had. 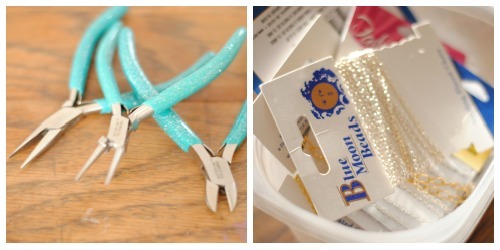 You just need some craft chain, clasps and jump rings (all found at any craft store - even walmart) . I use wire cutters (to cut my chain), flat nose and round nose pliers to open my jump rings and secure the clasp - its pretty simple. 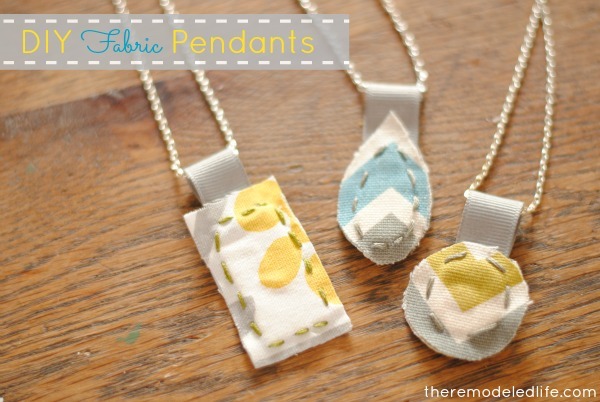 I love these sweet little fabric pendants and all three took me less than an hour to make - more like 45 minutes. I love that I used supplies I already owned so there was no money spent to make these - my kind of craft. I think the possibilities are endless with this, so many variations running through my head! So any of you guys face the winter storm this weekend? Do you have any crafty things you are working on? Share with me! These are adorable! 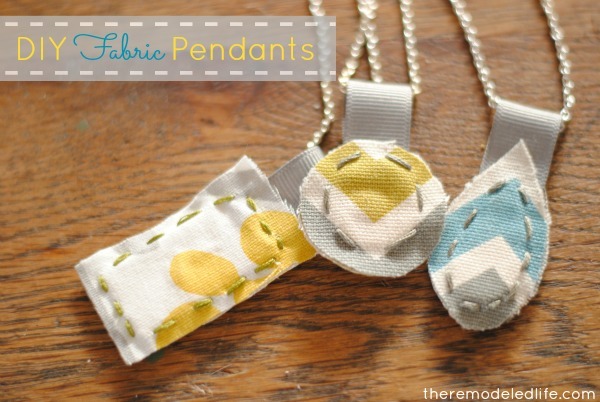 And I love that they can be made with items already on hand! Thanks for posting! Thanks Abby!! I love being able to use what I already have - livin' on a budget :). These are so cute! I love the fabrics you chose! Thanks so much for sharing & for linking up to the "Make It" party! Thank you! I have enjoyed linking up to all of the fun linky parties for the dog days of winter! so adorable! I found you on the blog hop, love your posts!! Thanks Meghan!! You are so sweet! Heading over to check out your blog :). Thanks so much Brani!! I love your name, so unique and pretty :). Thanks for your sweet comment and for following! Heading over to follow you back! so cute. they would make great zipper pulls too! Thanks! You are so right, love that idea! So cute!!! 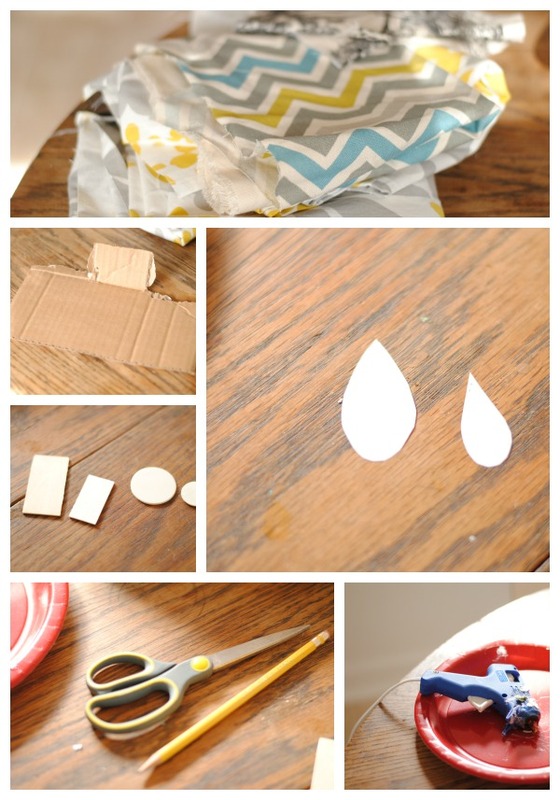 This DIY is wonderful!! Thanks so much!! 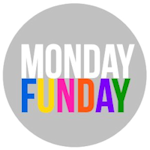 Hope you have a great week as well!